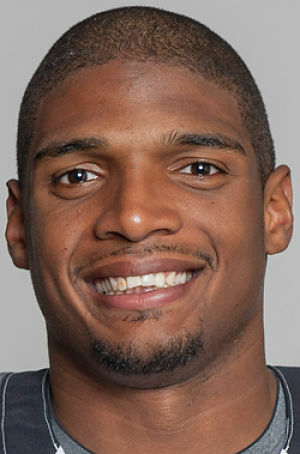 Michael Sam, Hero, and how opinions are like assholes. Missouri star defensive end Michael Sam came out yesterday. It’s been a long time coming, and it took a brave man to do it. Everything I have read about Sam tells me that he has the character to succeed in the NFL, and I hope that his teammates, whoever they’ll be, will stand with him. He seems like the kind of person teammates like and trust. He seems like a team player. I’ve been scouring the reactions online, and I think it’s amazing how true the saying is about opinions and assholes. In Peter King’s column on whether the NFL is ready for a gay player, many anonymous GMs sound off. This GM said he didn’t expect Sam would be drafted. I’ll take the comment that he’s not a very good player as being NFL draft lingo. Because obviously, the MVP of a Missouri team that won the Cotton Bowl is, in fact, a very good player. Secondly, what I notice is that this GM does what everybody seems to do: universalize their own experience and reaction. The fact is that we don’t have to wonder how a team will react to Sam being openly gay; he was openly gay in the locker room at Missouri, and no one died. No one was molested in a shower. The guy was universally loved. How is an NFL locker room different? Every single NFL player went to college. If anything, these are more mature versions of college players. So why is this GM so sure that the NFL is not ready for Michael Sam? His comment is about him, not Michael Sam. When a person says, “What’s the issue here? Aren’t we over this already?” what they are really saying is, “I’ve dealt with this and I know that gay people and straight people are basically the same. Any reaction or prognostication I have about what will happen here is about me. I would like to live in a world where people speak in “I” statements and stop projecting their own realities on the entire world. I will say this: I surely HOPE that Michael Sam will be drafted, and that his draft position will not be impacted by his coming out. I don’t know what will happen. I do BELIEVE that the NFL is ready for him. Do I know for sure? I know nothing for sure. Well, I know one thing: I think he’s amazing. And I wish him all the success in the world. 2 Responses to Michael Sam, Hero, and how opinions are like assholes. Great job discussing one of the basic human communication mistakes that is so prevalent today. The only person I can ever speak for is myself, and using words like “we” is just a way to spread responsibility to other people rather than standing up truly sharing my own personal thoughts, which I might get in trouble for on occasion. I hope Sam has success.